This week’s idiom is put on your Thinking Cap! To start thinking seriously about how to solve a problem or make some suggestions. When did we start using this idiom? 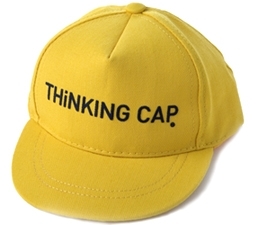 Is there a real ‘thinking cap’? There doesn’t seem to have been an actual thinking cap. But I wonder would it be helpful if you really needed to concentrate on a problem?